No more boring, everyday pictures! 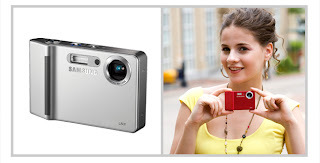 The exclusive Samsung L83T digital camera allows you to express your creativity. - The ‘Samsung L83T’ is a digital camera for the active young generation who live with their cameras, to capture the bright moments in their daily lives. Along with many functions for still picture taking, the ‘Samsung L83T’ is also equipped with several movie functions, which make it easy to create cartoons, artistic pictures and movies. - The strengthened movie functionality of i-Movie enables shooting a long movie using a high compression MPEG4 type large screen, and a resolution of SVGA (800X592). Various other functions including a 3x optical zoom while shooting, successive recording, in which the user can pause while taking a movie and restart shooting later in the same file, and still image capture, and editing, meet the needs of the latest UCC (User Created Contents) trend. - Also, still pictures can be edited in unique styles. With the color filter function, the user can choose one person to keep in color, and make the others black and white. Cartoon shooting gives you the fun of creating a cartoon, and using composite shooting, several shots can be taken in one screen. Images can be decorated with stickers in different and shapes, such as a heart, using the sticker function, and there are photo frames to help you make up a special album. Other functions, including the ability to change the colors, will help users to create unique and unforgettable pictures. - The ‘Samsung L83T’ also features a 1cm super macro for taking detailed pictures of a ring or a flower, and a motion capture facility whereby the camera can take 7 pictures a second. By selecting the motion timer, users can take pictures of themselves without a remote control. A wise shot function is also included, to provide a more exciting picture-taking experience. The NV series comes in two colours: royal black and iron silver. The NV design achieves an exquisite harmony, balancing respect for tradition with its retro look, and a modern feeling with its advanced technology. - The fast Advanced Shake Reduction (ASR), combined with an Auto Contrast Balance (ACB) feature enables even more perfect image production. - The NV Series boasts the highest specification embodied in a compact, together with rich state-of-the-art features: 12.1 mega pixels, a Schneider lens, and Face Recognition AF & AE. 1. The NV Series are cutting-edge digital cameras featuring high resolution (12.1 mega, 10.1 mega, or 8.1 mega pixels) Schneider lenses. A further advance from the existing NV design which has enjoyed great popularity; royal black and iron silver colours have been added, and a high-gloss finish has been applied for a more elegant design. 2. The Auto Contrast Balance(ACB) feature, which automatically corrects the brightness of objects by analyzing differences in the intensity of the light, enables faithful representation of detail even in environments with high back-lighting or contrast. 3. Furthermore, Samsung’s proprietary Fast ASR (Advanced Shake Reduction) feature enables blur-free, sharp images at a fast speed of 0.7 seconds. 4. The innovative Smart Touch interface more conveniently aids the selection and adjustment of desired functions through various combinations of the L-shaped horizontal and vertical buttons. 5. The NV20, NV15, and NV8 offer Face Recognition AF & AE for optimal portrait photography, and a Red-eye Fix that automatically eliminates red-eye from your pictures, in addition to manual photography features. On top of this, high-quality videos and GIF animations can be created, and a variety of pictures can be taken using motion capture and high-speed continuous shooting at 2 shots per second. Pictures, videos, music, movies, novels, travel information – all in the palm of your hand. - Enjoy a variety of culture: PMP, MP3, world travel information, text books, and i-movies. 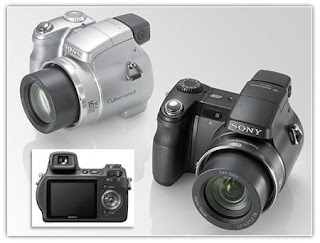 - A slim multimedia digital camera featuring 8.2 mega pixels and a 5x optical zoom. □ The i85 supports a wide variety of media such as PMP, MP3, text books, and i-movies. It is a multi-media digital camera that plays music when you travel, shows a movie when you are waiting for a friend, and turns into a novel in the subway train on your way home. What’s more, it is your best travel companion - providing tour information on 30 countries around the world. □ The i85 is a slim, high-resolution digital camera featuring 8.2 mega pixels, a 5x optical zoom, and a 3.0 inch LCD display that shows much larger and clearer images. □ With the distinctive CMF (Colour Material Finish) of the stainless material, the i85 offers a wider selection of colours: silver, black, red, and gold. □ The video feature, which is now more useful than ever thanks to the UCC (user-created contents) boom, supports the high-compression MPEG-4 format (SVGA class 800 X 592) for more vivid, sharper images. Moreover, shot continuity, which allows file continuity to be maintained when a video shot is paused, still image capturing, and video section editing are very useful features for the production of your own UCC. □ Samsung’s proprietary ASR (Advanced Shake Reduction) and highly sensitive ISO 1600 enables you to take clear, blur-free indoor images even without a flash. Additional features include Face Recognition AF & AE for optimal portrait photography, and a Red-eye Fix that eliminates red-eye from your pictures. □ The i85 has adopted a flash animation GUI (Graphic User Interface) and also offers an amusing BGM feature for you to enjoy a slide show of your pictures with background music. Samsung Techwin (represented by Lee Joonggoo, www. 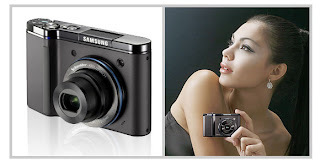 samsungcamera.co.kr) has announced that its Samsung i70 digital camera, released in the first half of the year, has taken top honours at the prestigious EISA (European Imaging and Sound Association) European Design Camera Awards 2007-2008. The EISA Awards are also known as the Nobel Prizes of the camera industry, and the selection committee for the Awards consists of 50 experts chosen from over 20 European countries. EISA’s top honours are awarded after strict quality testing by these experts in a total of five sectors: Audio, Home Theatre, Video, Photo,and Mobile Devices. 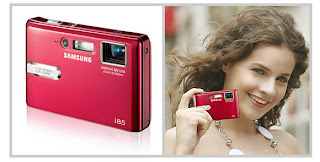 According to EISA, the Samsung i70 - European Design Camera for 2007-2008 - offers “an innovative sliding cover” and “a 4-coloured full metal body”, and is “an attractive compact camera having lens decorated with cubic zircon, having a sensitive look and feel about its design”. EISA also said that the i70 is expected to have great appeal to younger customers because of its MPEG-4 movie display function and multi-media functions, which include an MP3 player. The i70 provides features such as an innovative sliding cover, high quality with 7.2M pixels, a 3” wide LCD, an SRS surround audio system with MP3 player, a slim stainless body with a special finish, and a lens coated with cubic zircon. The camera is well-equipped with plenty of powerful functions, and its design is both sensitive and advanced. 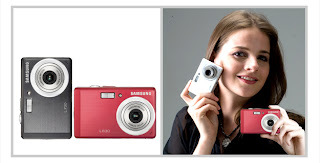 As you probably remember, the Samsung NV10 also won the EISA Award for Compact Digital Camera last year. 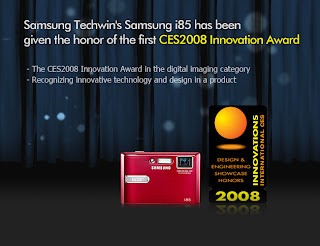 Samsung Techwin announced that its Samsung i85 digital camera will receive the honor of the first CES Innovation Award at the 4 day CES2008 in Las Vegas, from January 7th until the 10th. 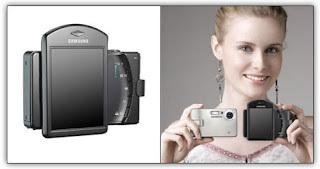 CES announced that the Samsung Techwin digital camera which won the prize in the digital imaging category, the Samsung i85, was an innovative product capable of multitasking with picture, video, music, movie, text viewing, and world tour guide features. The light and slim Samsung i85 provides excellent portability, an Inner Zoom Samsung lens for quick operation, and improved mobility and functionality. There is a choice of four different stainless colors: silver, black, red and gold. It is also equipped with face recognition AF & AE features for taking portraits and ACB (Auto Contrast Balance) for automatically adjusting the brightness of a subject. It is possible to capture detailed images in a shooting environment that has backlighting or a high contrast between light and dark. In addition, its Red Eye Fix feature automatically corrects red eyes, and its video, motion capture, and other features allow the user to shoot a wider variety of pictures. Forex is the foreign exchange market where currencies are bought and sold. It began back in the 1970’s with the introduction of free exchange rates and floating currencies. Thanks to the internet more and more people are able to reap the profits of the currency market with global Forex trading. This is a market that trades as over US$1 trillion a day. It trades more than any other market. There are some distinct differences in the currency market compared to the stock market. Money moves much faster so no single investor has the ability to actually affect market price and trades are able to open and close within seconds which is not possible on the stock market. To start your global Forex trading you need to open a Forex account. Just fill in the application and the sign the margin agreement which let’s the broker intervene at any time. That makes sense since it’s the broker’s money that just makes sense. You need to choose a trading strategy that works for you. Different strategies work for different traders to don’t try to makes something work, instead find the right trading strategy for you. It’s important to understand that trends move prices so a smart investor will make trends their friend and even go so far as to examine historical trends. The top five currency pairs are USD/Yen, Euro/Yen, Swiss franc/USD, Pound USD/ and the Euro/USD. Make sure you know and understand them. Examine the charts at 1 hour, 4 hour, and daily. This will give you the daily trends and plenty of opportunity to trade. Sure you can trade every 15 minutes if you like but that’s not really practical. Now that you’ve got all your global Forex trading tips you’re ready to see some profits. This entry was posted on Sunday, May 6th, 2007 at 11:45 am and is filed under Forex Trading. You can follow any responses to this entry through the RSS 2.0 feed. You can leave a response, or trackback from your own site. Do you see the profit potential in trading currencies, but learning to trade just seems too daunting? Have you watched with excitement the recent crashing of the value of the USD, but simply don’t know how to get started trading? While it is simple to begin trading Forex online, maintaining profitability in the long term is no easy task. You have probably heard that 90% of Forex traders lose their money in the long term. If indeed this is true, it is the result of a couple of different factors. Overtrading: Each trade costs you a couple of pips—Consider your trades well before you make them. Each faulty trade, even if exited quickly, drains equity. Bad money management: One bad trade can wipe out a year of patient, smart trading. Manage your risk using stop loss orders, so that you never risk too high a percentage of your equity on any one single trade. Lack of knowledge: If you have never traded Forex before, educate yourself! Successful traders are not born that way. The difference between success and failure in the Forex market depends in no small part on the knowledge and education of a trader. For the beginning trader, a proper education is essential before investing in the Foreign Exchange. Find a program you are comfortable with, and begin practicing on a demo account. Trading on the foreign exchange offers unparalleled opportunities for profit, but it is also extremely risky. Make sure you know what you are getting into before you start trading, and start trading only when you are comfortable in your knowledge and ability. Download the extension to access Google Notebook and all its functionality without ever leaving the web page you're on; you can view your notebooks, organize them into sections, add notes of your own, and more. Open and close the mini Google Notebook by simply clicking the notebook icon in your browser's status bar. Quickly add clippings of web content (images, text and links) straight to your notebook by highlighting the content you want and clicking the "Clip" button in the mini Google Notebook. Click the "New note" button and start typing to add text notes to your notebook, or click the "Add comment" link within a note to add comments to clippings you've collected. The original Nokia N93 is a fantastic phone with one real drawback.. it's a bit of a brick. At 180 grams, the N93 is one of the heaviest and largest phones on the market. So, as a remedy to this Nokia have come up with the N93i which is slimmer and lighter... but only just. The Nokia N93i weighs 163 grams and measures 108 x 58 x 25mm (compared to the N93 which is 118 x 56 x 28mm). 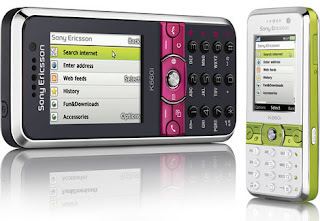 Nokia have also improved the display in the N93i which is now in 16 million colours and has a wider viewing angle. There's a reason for all this weight though.. as with its predecessor, the N93i is a feature packed digital imaging phone with a very high quality 3.2 megapixel with 3X optical zoom, VGA resolution video capture, TV output, an FM radio, a large 2.4" 240x320 pixel display, multimedia player, miniSD expandable memory, Bluetooth, 3G and WiFi support plus the Symbian S60 operating system. 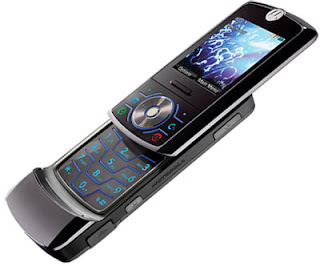 Everything else is pretty much the same as the N93, so we won't dwell on it here. Nokia say that the talktime on the N93i is 1.7-3.3 hours on 3G, 3.1-3.9 hours on GSM which is significantly less than the N93's quoted 5 hours maximum talktime. Both the N93i and N93 have similar (but not identical) batteries - the N93i comes with the BL-5F 950mAh unit, the N93 has the BP-6M 970mAh one, so perhaps Nokia are being a little more conservative when it comes to the battery life figures. Either way, the N93i will drain the battery pretty quickly, and if using WiFi and Bluetooth, you can expect an even shorter battery life. But.. a bigger battery would mean a heavier phone, and you can see the problem. The N93i has had a bit of a makeover too.. it's a sleeker, shinier phone than the original version and overall this perhaps makes the N93i look less intimidating than the older, chunkier model. 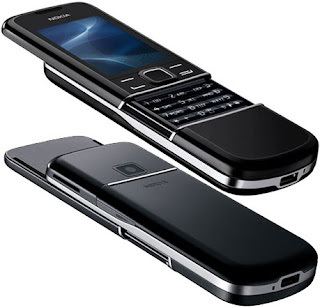 Nokia say that the N93i will be available during Q1 2007 for an unsubsidised price of around €600/£380 before tax. At CES 2007 Las Vegas Motorola joined the gang and presented the successor of the popular RIZR Z3 - the MOTORIZR Z6. The new slider is part of the new MOTOMUSIC platform and comes along with the updated EDGE version of the Motorola MING A1200 model. It seems that Motorola would keep their marketing strategy of producing slightly updated version to their existing handsets instead of making entirely new mobiles from scratch. The prospects of a new group of music-oriented devices sounds exciting since this is the current trend on the market and Motorola didn't have such mobiles up until now. 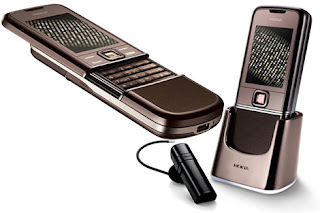 The Motorola RIZR Z6 will run on a new Linux-Java-based user interface and promises enhanced music experience featuring connectivity with Windows Media Player 11 and supporting Janus DRM. It will have the same design as its predecessor RIZR Z3 with almost the same size but it will weigh 10 g less. The new RIZR Z6 will have an improved display - this time with QVGA resolution, but it will retain the 2 megapixel camera of the predecessor. We hope that there would be some improvement in the camera quality department too since the RIZR Z3 deserved some criticism along that line of functionality. The MOTORIZR Z6 is expected to be available in the first half of 2007. Apple has announced its iPhone, it is 11.6 mm thin with a 480 x 320 touch screen display with multi touch support and a proximity sensor to turn off the screen. iPhone features a 2-megapixel camera, 4GB or 8GB storage, Bluetooth 2.0 with EDR and A2DP, WiFi that automatically engages when in range, and quad-band GSM radio with EDGE. It runs on OS X with support for Widgets, Google Maps, and Safari, and iTunes of course. Partnership with Yahoo, this allows all iPhone users to hook up with the IMAP email. Battery life, 5 hours for calls or video and 16 hours in music mode, standby mode has not been announced. The 4GB will be priced $499 while the 8GB priced $599 on two-year contract with Cingular in US. iPhone will be shipped Stateside in June, Europe in fourth quarter and Asia in 2008.
iPhone features the most revolutionary user interface since the mouse. It’s an entirely new interface based on a large multi-touch display and innovative new software that lets you control everything using only your fingers. So you can glide through albums with Cover Flow, flip through photos and email them with a touch, or zoom in and out on a section of a web page — all by simply using iPhone’s multi-touch display. iPhone’s full QWERTY soft keyboard lets you easily send and receive SMS messages in multiple sessions. And the keyboard is predictive, so it prevents and corrects mistakes, making it easier and more efficient to use than the small plastic keyboards on many smartphones. 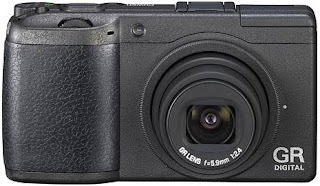 Casio announced the release of the Exilim Zoom EX-Z1050, the latest addition to its stylish series of EXILIM digital cameras. Featuring a newly developed, high-performance, image-processing module, Casio’s new EX-Z1050 makes it even easier to enjoy shooting super-high resolution, 10.1-megapixel images. 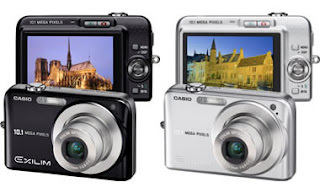 The Casio EX-Z1050 is more than just convenient, stylish and cool: this camera is a truly high-performance device. It is built with the highly sophisticated Exilim Engine 2.0 — a high-performance, image-processing module that not only improves image quality, but also boosts performance by delivering new motion analysis technology. This latest model in the Exilim series also delivers best-in-class high-speed, continuous shooting at 7 shots per second until memory is full, empowering users to capture every split second of an action-packed scene. The Super Life Battery of Casio EX-Z1050 allows up to 370 shots to be taken when fully charged. The Exilim Zoom EX-Z1050 will have a suggested retail price of $299.99 and will be available in four fashionable colors – pink, blue, black and silver. PENTAX has announced the Optio A30 to be shown at the PMA Photo Marketing Association International trade show. The Optio A30 provides speedy operation and gives outstanding high-quality photos and video capture with its many useful features. 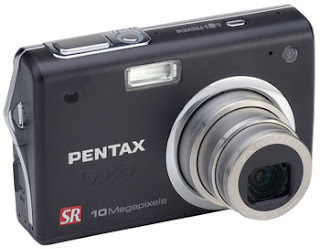 This compact lightweight camera is capable of capturing images in 10MP resolution. The high intensity 2.5” LCD screen is clear and can easily be viewed, even in the bright sunlight. Keeping the clarity, its Intelligent Zoom function provides digital magnification with the image clarity of an optical zoom. Further enhancing the images are the Shake Reduction (SR) functions used in its image processing engine. SR uses a gyro sensor and a shifting CCD system to provide enhanced corrective effects. 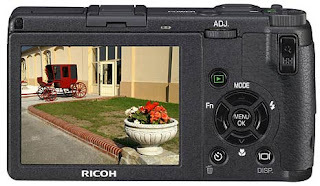 The Digital SR mode effectively reduces camera shake and subject blur by adjusting the sensitivity pertaining to the brightness of the cameras focus. Also SR reduction is available while shooting videos. Using an electronic shake reduction solely for video capture, distortions in images affected by software camera shakes are corrected. The Optio A30 is also a DivX Certified digital camera. DivX capability provides a higher quality with a significantly reduced file size. For business and social purposes, it is especially useful for sharing videos because of its compressed size. Other Features include 15 shooting and 15 playback modes, Calendar Display function, 22MB internal memory, removable SD and SDHC memory cards, and support for PictBridge connections. Availability will be late March and will be priced at $349.95. Panasonic is introducing new astonishing High Definition 3CCD video camera with the Panasonic HDC-DX1. Their efforts of the HDC-DX1 are to keep up with the growing popularity of High-Definition video and to provide crisp, clear image quality. This camcorder is on tough, compact which is one of the world’s smallest and lightest 3CCD HD video cameras available. You can choose from SDHC memory cards or the dual-layer DVD to save and record your videos. It features a Leica Dicomar Lens and a 3CCD camera system used in numerous professional broadcast cameras. 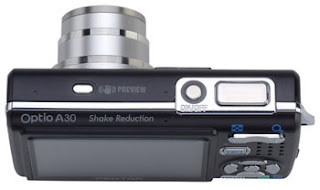 The model includes an Optical Image Stabilizer (O.I.S.) that provides clearer quality images by minimizing the shaking and blurring that can arise due to shaky hands. A feature that puts this camera way above other cameras alike is its 5 microphones which allow recording for 5.1 channel surround sound. The Panasonic HDC-DX1 is setting a higher image and sound recording standards for other cameras alike and are giving home users a means to make their own personal High Definition recordings. The new Mustek DV700TZ and DV530TZ camcorders are simple to use as point-and-shoot cameras. These new camcorders are designed to be very compact and portable with multi functions such as built-in digital still camera, digital voice recorder, MP3 player and webcam. The DV700TZ features 3X optical and 8X digital zoom with 7.0 megapixels CCD sensors and equipped with 2.5inch LTPS swivel LCD displaying 720 X 480 resolutions at 30fps. A 64MB internal memory is not very ideal for video capturing but you have the options to add more storage using its SD memory slot. The cheaper DV530TZ features a 5.3MP CCD sensor for recording 640 x 480 video at a fluid 30 frames-per-second in MPEG-4 format. 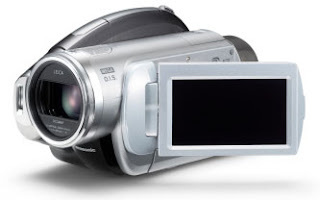 As with the DV700TZ, there is also WAV-format voice recording, MP3 music playback, and webcam capabilities. The DV700TZ will cost you $299 and DV530TZ will retailed for $229. Hasselblad extends the appeal of its outstanding H3D DSLR camera system to a new professional photographic audience with the launch of the Hasselblad H3D-31, the 31 megapixel version of the H3D-39, the world’s first 48mm full-frame DSLR camera system. Featuring near full-frame capture, the H3D-31 uses a 44×33mm sensor enhanced with micro-lenses to boost ISO rating one stop to a new maximum of ISO 800. The system’s new high-speed capture architecture, which is common to all H3D models and enables the fastest possible operation, also gives the H3D-31 an impressive capture rate of 1.2 seconds per image in either mobile or tethered mode. These features give the Hasselblad H3D-31 the highest burst rate of the H3D family and make it the camera of choice for the professional mobile photographer. Developed around a brand new digital camera engine, the H3D takes lens performance and image sharpness to new levels. When compared with high-end 35mm DSLRs, the H3D delivers unmatched pixel resolution, better colors and detail rendering and a new choice of viewfinders for creative image composition. The H3D-22 and its nearly double-resolution H3D-39 counterpart are both full frame 48mm DSLR’s using the sensor format 36×48mm. These cameras operate up to ISO400 with a capture speed of up to 1.4 seconds per capture. The H3D-22 and H3D-39 are the preferred choice of professional commercial photographers. The new Hasselblad H3D-31 is available immediately worldwide through Hasselblad’s national subsidiaries and channel partners with a retail price of 24,995 US$ or 19,900 Euros. The Olympus E-410 is the smallest, slimmest, lightest interchangeable lens digital SRL camera in the world today. The world's smallest, slimmest and lightest interchangeable-lens digital SLR camera, the E-410 incorporates all the core features of Olympus E-System cameras, including the Dedicated Digital Design, Dust Reduction and Live View functions. Despite its ultra-compact design, the E-410 provides highest level of image quality available today. Thanks to the newly developed 10-million pixel Live MOS sensor with low noise and low power consumption and the new TruePic III image processing engine, the E-410 delivers picture quality that easily meets the requirements of professional users. Fitting comfortably in the hand and providing outstanding portability, the E-410 offers a degree of simplicity and ease of use that no digital SLR can match. The Olympus E-410 also permits autofocusing to be used together with Live View monitoring, as well as making it possible to confirm the effects of exposure correction or white balance adjustment on the monitor screen.With its ultra-slim, ultra-compact (129.5 x 91 x 53 mm) ultra-lightweight design,( 375 grams main body only), the Olympus E-410 combines the convenience and portability of a pocket camera with the power and performance of a full-fledged digital SLR camera. Easy to carry and easy to use, the E-410 lets you enjoy the true pleasure of photography anywhere, anytime. 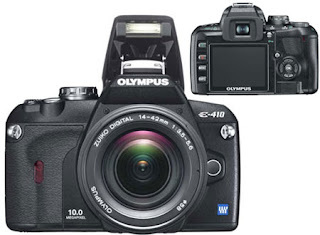 Olympus will be releasing the new E-410 digital SLR camera at the end of April 2007. Asustek’s new 17-inch AMD-powered entertainment notebook – the Asus A7K-A1 - is now available for purchase through online retailers in the United States. The Asus A7K-A1, which is the first model in the new A7K series, features the AMD Turion64 X2 TL-60 processor at 2GHz and the DirectX 10-ready ATI Mobility Radeon HD 2600 dedicated video card with 256MB of DDR3 video memory. This laptop has 2GB of DDR2 system memory, a 160GB hard drive at 5400rpm, and a DVD burner. The notebook’s 17” widescreen display provides 1440-by-900 pixel resolution. Regarding networking, the A7K-A1 has 802.11b/g wireless LAN and Gigabit Ethernet LAN connections, a 56K modem, and a Bluetooth module. Its ports and slots include an ExpressCard slot, five USB ports, a 5-in-1 media card reader, an eSATA connector, and a Firewire. For audio/video output, there are HDMI, VGA, S-Video and S/PDIF outputs, while for audio/video input there is an AV-In port. The Asus A7K-A1 also features four built-in stereo speakers and a 1.3-megapixel web camera, and weighs 9lbs with a 8-cell battery. It ships with Windows Vista Home Premium operating system. This notebook is available through NewEgg for $1,239.99 after instant savings, which is a great price for a 17-incher with a dedicated DirectX 10 graphics. Acer's other team loyalty is AMD, so it's perhaps no surprise Asus has gone with Intel. 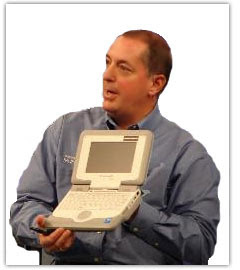 The VX1 is a Centrino laptop. My review model came with a Core Duo T2500 processor clocked at 2GHz, although models with a Core 2 Duo processor will be available soon, Asus tells me. The chipset is the Intel 945PM, so there's no integrated graphics. Asus has gone for the Nvidia GeForce Go 7400 VX with 512MB of Turbo Cache, which is a souped up version of the GeForce Go 7400 but still far from a suitable solution for gaming on the move. This is rather disappointing considering the Lamborghini badge, and one would think that Asus would've fitted a more powerful graphics chip into the VX1. The review model also came with 2GB of DDR 2 memory - which is more in line with what you would expect from a top of the range laptop - and a 160GB IDE hard drive. It's disappointing (again) that Asus hasn't gone for SATA here - the machine's chipset supports it - as this is quickly becoming the norm on new notebooks. 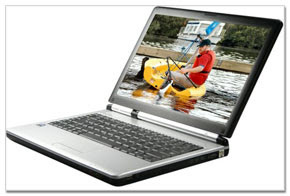 The optical drive is a super-multi DVD writer which handles all the common formats and DVD-RAM. It's not the fastest drive out there and it's not, alas, a slot-load unit. The optical drive is mounted on the left-hand side of the chassis alongside an ExpressCard 54 bay, a four-pin FireWire connector, an infra-red receiver and a standard VGA connector. There's no DVI or HDMI connector, which again is a shame on a machine so clearly targeting the performance end of the notebook market. The right-hand side is home to four USB 2.0 ports spread out along the length of the laptop; a multi-format memory card reader that accepts SD, MMC and various Memory Stick formats; a headphone and microphone socket, with optical S/PDIF output inside the latter; and finally a 56Kbps modem and a Gigabit Ethernet connector. The VX1 ships with a carbon fibre-look laptop bag as well as a Lamborghini branded zip-up carrying pouch. This is a nice bonus, but again doesn't make up for the shortcomings. Meet the new Toshiba Qosmio G35-AV660 Core 2 Duo Laptop. A true entertainment center, the Qosmio G35-AV660 takes you to the heart of the action with true-to-life high-definition movies and hi-fi audio. With a HD DVD-ROM and DVD SuperMulti drive, this laptop is a first of sorts. Featuring a 2.0GHz T7200 Core 2 Duo processor, the G35-AV660 is bundled with 2GB of RAM and a brilliant TruBrite 17" widescreen UXGA display at a maximum resolution of 1900x1200 pixels. Behind the scenes, the display is handled by a GeForce Go 7600 display card with 256MB of GDDR3 memory. Bluetooth? Check. Wireless 802.11 a/b/g? Check. Two 120GB hard drives give you enough space to store gazillions of movies. Biometric security is default, thanks to a finger-print reader. The G35-AV660 also includes a security cable lock slot. Audio playback on the harmon/kardon Bass Reflex speakers and Dolby Home Theater digital audio enhancements deliver audio just like your home theater system. With a 9-cell Li-ion battery, Toshiba claims up to 2.5 hours on a full charge. Weighing in at 10.1 pounds, the Toshiba Qosmio G35-AV660 laptop carries a price tag of US $3,499. Check out the full specs in the extended entry. At the on going fall Intel Developer Forum (IDF) in San Francisco, Intel CEO Paul Otellini introduced a sub-$400 “Classmate PC” code named Eduwise for the emerging markets. The notebooks are ear marked for volume production from the first quarter of 2007. The Eduwise features Intel Celeron M CPU paired with 915 GMS chipsets and a 7-inch WVXGA (800 X 480 LCD display. The model has 1 GB flash memory instead of HDD because Intel felt that in the hands of children’s the HDDs will not be able to survive the impacts and rough handlings. A 6-cell standard Lithium Ion battery is the power source. The system will adopt the Windows XP embedded OS. As a threat deterrent, the notebook will come with asset-control software, so if it is out of the classroom for too many days, the notebook disables itself. The Classmate will also sport a special version of Windows so as to prevent kids from accessing Internet sites programs that have not been designated by parents or teachers as off-limits. The first batch of the notebooks will be distributed in Mexico, Brazil, Nigeria and India. The machine ranges in price from US$220 to US$300 most of the price variation will depend on the taxes in the individual country. 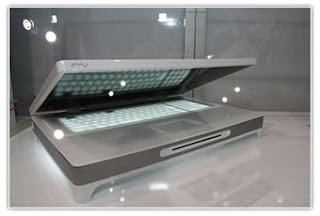 Shown off at CEATEC, these two Concept Tablet PCs look like something even sexier than MacBooks and MacBook Pros. 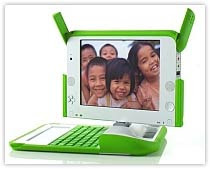 First there's the Turn Tablet PC, which is a large PC with a magnetic screen and a stylus that runs Windows XP Tablet PC Edition. It includes a standard keyboard and touch-pad, with a slot-loading DVD drive on the front. 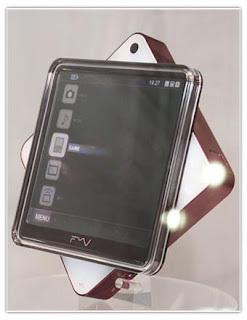 The second is a smaller UMPC-like device with the swiveling screen and a PSP/PS3-like UI. 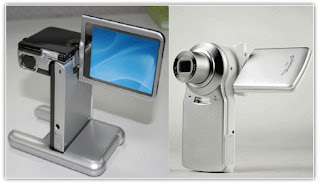 We're not exactly sure what the swiveling screen is for, but it sure does look cool. Plan on seeing these in your local Circuit City around the year two thousand and never. Due to an unforeseen accident involving a wallet-shaped projectile (presumably, a wallet? - ed) and a rather bouncy sofa, my Sony Vaio no longer has a working @ key. Not only does this particular character get used a lot, but on a UK keyboard the same key also provides the apostrophe. As they say, every cloud has a silver lining - so when this Rock Pegasus 330 turned up in the labs, not only was its small size perfect for me to take to Computex, but it gave me some real hands on time with the machine. The Pegasus 330 is a small notebook, weighing in at only 2.1kg making it perfect for anyone on the go. It opens up nicely even on a fairly cramped aeroplane, with room to spare. It has a small 13.3in widescreen display running at 1,280 x 768 using the integrated Intel 945GM graphics, so you won’t be playing any games. But this resolution is fine for word processing, email and other general use. Inside there is an Intel Core Duo T2400, which operates at 1.83GHz. At the moment, this particularly processor offers the best value for money - so a good choice on Rock’s part. There is also 1GB of DDR2 memory, made up of two 512MB Corsair 4-4-4-12 modules. Being configured like this means performance should be a little better as it is running in dual-channel, but this makes upgrading difficult. If you want 2GB, you should specify this in the configurator and pay a little extra at the beginning. The Pegasus 330 has several unique features worth noting. When plugged into the mains, the system is automatically overclocked by 5 per cent - in this case to 1.93GHz. I wouldn’t say no to an extra 100MHz, and this is well within the tolerance of the Core Duo range of processors. If the whole concept of overclocking scares every cell in your body, then you can turn this off in the BIOS. Next to the power button lives two other buttons, each with unique functions. One is the silence button that will lower the clock speeds of the CPU so that the system fan doesn’t need to turn on. The system seemed really quiet anyway but it makes it perfect for listening to music before bed time, without being woken up by the intermittent sound of a whirring fan. Finally, there is the InterVideo InstantOn button. Pressing this button instead of the power button boots in to InterVideo's playback software, which is a Linux distribution stored on the computer. From here you can play DVDs, CDs, MP3's and control the supplied TV Tuner. This saves the hassle of booting in to Windows, which obviously takes time. Instant On is a bit of an exaggeration though, as it takes around 10 seconds to boot in to. The speakers aren’t great for listening to music, but there is a stereo jack for audio output, so you can plug it in to a set of external support. As some of you may know from my previous reviews, I’m not a big fan of trackpads and I don’t get on with them well at all. Because of this I have always had a love for the ThinkPad trackpoint and have found myself remarkably adept at keyboard shortcuts. The trackpad on my Sony Vaio is one of those rare trackpads that I actually do get on with – but this in itself is proof that it can’t just be me and that good trackpads are around. On this notebook, it was certainly one of the better ones I’ve used and definitely rivalling the Sony. Occasionally the pointer would dart around the screen or it just didn’t seem to move at all but I think even the best trackpads suffer from this occasionally. I would certainly consider this trackpad to be above average and if I can use it for a couple of weeks without going crazy, it could be worse. ASUSTeK Computer (ASUS) has today officially launched the R1 tablet PC, V1 and F2 laptop series which offer a smart balance of mobility and performance with comprehensive security features that protect with both software as well as hardware solutions, providing a secure and convenient computing experience for business professionals on the go. ASUS protected computing starts with fingerprint authentication that grants strict access only to the designated owner. With one swipe, the electronic imaging mechanism reads the fingerprint pattern from the live layer of skin, bypassing any common skin surface conditions that can impair the accuracy of the reading. With ASUS Security Protect Manager, you can choose to setup multi-factor authentication requirements for data access of different security level. Both passwords and fingerprints can be used as the method of verification. Passwords are encrypted and stored in the hardware-based Trusted Platform Module (TPM) ensuring end-to-end security and avoid attacks by hackers looking to capture passwords and encryption keys for sensitive data. 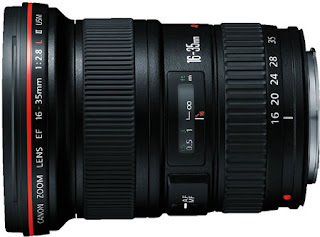 The R1F (317x232x35mm, 1.98kg) offers a wide aspect visual enjoyment while remaining compact for high mobility. The 180-degrees convertible LCD screen allows easy presentation and data sharing during meetings or at gatherings. Increase productivity and efficiency with handwritten input capability. Together with InfoPen software, users can record and edit images or documents as easy as on a piece of paper with colour and highlighter options. The DigiPen stylus also has an eraser end and mouse control buttons so that users can now navigate a wide range of applications with single-handed ease. Key features of the tablet PC include Intel Centrino Duo Mobile Technology, Intel Core Duo Processor T2050/T2250/T2300E/T2400/T2500, Intel Core 2 Duo Processor T5500/T5600/T7200/T7400, Mobile Intel 945GM Express Chipset, Intel PRO/Wireless 3945ABG Network Connection, Microsoft Windows XP Tablet PC Edition, up to 2GB of DDR2 667MHz memory, 13.3-inch WXGA Color Shine & Crystal Shine LCD, SATA 80/100/120GB HDD (second HDD available), hot swappable optical drive, 10/100/1000 Ethernet, 802.11a/b/g, Bluetooth V2.0 + EDR, three USB ports, Express Card, 8-in-1 Card-Reader, Fingerprint Reader, and TPM (optional). The V1 (363x263x357mm, 2.7kg) series is an ultra-slim 15.4-inch model. The detachable docking station is an ideal solution for quick connection of peripherals, power and communication devices. Whether at home or in the office, it offers advanced practicality and time saved when leaving and returning to the desk. 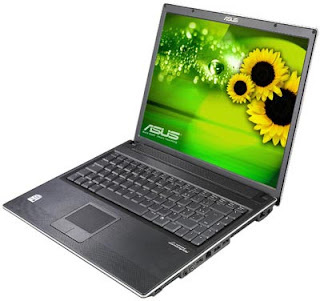 Key features include Intel Centrino Duo Mobile Technology, Intel Core 2 Duo Processors T7600/T7400/ T7200/T5600/T5500, Mobile Intel 945PM Express Chipset, Intel PRO/Wireless 3945ABG Network Connection, Microsoft Windows XP, up to 2GB of DDR2 667MHz memory, 15.4-inch ZBD LCD, ATI Mobility Radeon X1600 256/512MB, SATA 80/100/120GB HDD (second HDD available), 10/100/1000 Ethernet, 802.11a/b/g, Bluetooth V2.0+EDR, three USB 2.0 ports, Card Reader, S/PDIF, Express Card, and Fingerprint Reader. The F2 (343x280x40mm, 2.7kg) series offers wire-free communication ‘anywhere’. With exclusive ASUS MiVo module, users of Skype can place a mobile-to-mobile, mobile-to-PC or PC-to-mobile call anywhere in the world for the price of a local call. A broadband connection such as cable or DSL and access to a regular phone line are the only connections required to make a MiVo call. Once connected, MiVo monitors the Skype session and automatically forwards any incoming as well as outgoing Skype calls to any designated phone/PC, giving users the ultimate wireless freedom even away from the notebook! The laptop includes Intel Centrino Duo Mobile Technology, Intel Core Solo Processor T1350, Intel Core Duo Processor T2050/T2250/T2300E/T2400/T2500, Intel Core 2 Duo Processor T5500/T5600/T7200/T7400, or Intel Celeron M 420/430, Mobile Intel 945GM/940GML Express Chipset (F2F/HF) or Mobile Intel 945PM Express Chipset (F2J/JE), Intel® PRO/Wireless 3945ABG Network Connection, Microsoft’s Windows XP, up to 2GB of DDR2 667MHz memory, 15-inch XGA LCD, ATI Mobility Radeon X1400/1450 DDRII 128MB, SATA 80/100/120/160GGB HDD, 1.3-Megapixel Webcamera (optional), 10/100/1000, 802.11a/b/g, Bluetooth V2.0+EDR (optional feature), three USB, TV-Out, Express Card, 7-in-1 Card Reader, Fingerprint reader, and TPM (optional). Now that One Laptop Per Child have given its computer a name, CM1, The Children's Machine, it's also reveling more about the notebook's specs. ● Creates its own mesh network out of the box. Each machine is a full-time wireless router. Children—as well as their teachers and families—in the remotest regions of the globe will be connected both to one another and to the Internet. ● Features a 7.5-inch, 1200×900-pixel, TFT screen and self-refreshing display with higher resolution (200 DPI) than 95% of the laptops on the market today. Two display modes are available: a transmissive, full-color mode; and a reflective, high-resolution mode that is sunlight readable. Both of these modes consume very little power: the transmissive mode consumes one watt—about one seventh of the average LCD power consumption in a laptop; and the reflective mode consumes a miserly 0.2 watts. ● Can selectively suspend operation of its CPU, which makes possible further remarkable power savings. The laptop nominally consumes less than two watts—less than one tenth of what a standard laptop consumes—so little that CM1 can be recharged by human power. This is a critical advance for the half-billion children who have no access to electricity. To enhance performance and reliability while containing costs, CM1 is not burdened by the bloat of excess code, the “feature-itis” that is responsible for much of the clumsiness, unreliability, and expense of many modern laptops. We intend for CM1 to start up in an instant—faster than any commercial laptop now available—and move briskly through its operations. CM1 is an open-source machine: free software gives children the opportunity to fully own the machine in every sense. While we don't expect every child to become a programmer, we don't want any ceiling imposed on those children who choose to modify their machines. We are using open document formats for much the same reason: transparency is empowering. The children—and their teachers—will have the freedom to reshape, reinvent, and reapply their software, hardware, and content. The generation-one machine’s core electronics begin with the 400Mhz AMD Geode processor. There are 128MB of dynamic RAM and 512MB of SLC NAND flash memory on board. The basic integrated operating system is a “skinny” Fedora distribution of Linux. The user interface is specially designed to support collaborative learning and teaching: every activity comes with a support network of teachers and children, so learning need not be an isolated, lonely endeavor. Each machine features a video/still camera, three external USB-2.0 ports, plus an SD slot. CM1 is VOIP-enabled, creating another link among users (both locally and globally). It features Csound, an incredibly powerful and versatile music synthesis software that takes advantage of a full-featured audio codec (and the mesh network for collaborative musical performances). There are internal stereo speakers, as well as a stereo line-out jack. The microphone is built in, with a mic-in jack, which offers another unique feature: “sensor input” mode. The children can plug in any of a number of home-made data sensor, enabling them, for example, to turn their machines into thermometers or oscilloscopes. Form factorForm factor was a priority from the start: the laptop could not be big, heavy, fragile, trivial, ugly, dangerous, or dull. Another imperative was visual distinction. In part, the goal is to strongly appeal to CM1’s intended users; but the machine’s distinctive appearance is also meant to discourage gray-market traffic. There’s no mistaking what it is and who it is for. CM1 is about the size of a textbook and lighter than a lunchbox. Thanks to its flexible design and “transformer” hinge, the laptop easily assumes any of several configurations: standard laptop use, ebook reading, and gaming. The laptop has soft, rounded edges. The integrated handle is kid-sized, as is the sealed, rubber-membrane keyboard. 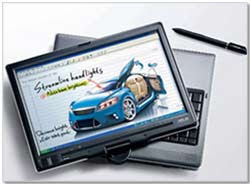 The novel, dual-mode, extra-wide touchpad supports pointing as well as drawing and writing. Safety and reliabilityCM1 is fully compliant with the European Union’s RoHS Directive. It contains no hazardous materials. Its NiMH batteries contain no toxic heavy metals, plus it features enhanced battery management for an extended recharge-cycle lifetime. It will also tolerate alternate power-charging sources, such as car batteries. To top off the battery—for use at home and where power is not available—CM1 can be hand powered. It will come with at least two of three options: a crank, a pedal, or a pull-cord. It is also possible that children could have a second battery for gang-charging at school while they are using their laptop in class. The estimated product lifetime is at least five years. To help ensure such durability, the machines will be subject to factory testing to destruction as well as in situ field testing by children. A real computerSome computer industry figures have publicly dismissed the CM1 as a stripped-down toy—a gadget. “Geez”, asked one, “why not get a real computer?” Indeed. These individuals certainly now know better: as a not-for-profit, we have done something out of their reach—something for the children of the world. Comments and critiques are, of course, always welcome at laptop.org. ● a 400Mhz AMD Geode processor instead of a 366 Mhz one● an integrated digital video camera and still camera (resolution for either is unknown still) ● an SD slot, which is a curious diversion from the usual all-Open Source mantra● VoIP-enabled with microphone and speaker jacks. No word on the VIOP software.● CM1's plastic walls are 2.0mm thick, .7 mm more than the standard 1.3mm. 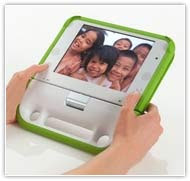 For those worried that the OLPC will become a environmental mess at the end of its life expectancy, a fanciful 5 years according to OLPC:"The CM1 is fully compliant with the European Union’s RoHS Directive. It contains no hazardous materials. Its NiMH batteries contain no toxic heavy metals." The WidowPC Sting 517D is a high-end gaming notebook with more power than most desktops. It features a high-resolution 17” display, an Intel Core 2 Duo processor, and the holy grail of notebook GPUs, the Nvidia GeForce Go7900GTX with 512MB of dedicated memory. Media Features: 1.3Mpixel Digital Video Camera, 4-in-1 card reader Our 517D has the highest specifications available, and it is certainly not for the budget-conscious, its final price as configured is retail $4,799.75. According to WidowPC, the price is “always negotiable”, so I would assume it can be had for less. The 517D starts at $2,695. With a Core 2 Duo processor and a 512MB Nvidia graphics card, the 517D's first and foremost audience is gamers. The 517D is also targeted toward those who use 3D modeling applications extensively, as it has an option for the most powerful mobile workstation card available, the Nvidia QuadroFX Go2500 512MB, which is based on the Go7900GTX. When it comes to competition, there are very few notebooks that can stand up to the 517D in terms of overall performance. Its number one competitor is the Dell XPS M1710, which is also very expensive and does not have the feature set that the 517D does. Alienware's Area-51 m5750 is another 17” gaming notebook, but its ATI Mobility Radeon X1800 256MB has considerably less performance than the 517D's Nvidia Go7900GTX 512MB. the design and overall appearance are a far cry from the ordinary notebook. From top to bottom, the 517D is a work of art. All aspects of the design fit together seamlessly, and nothing looks out of place. The 517D is a heavy notebook, without a doubt. It is difficult to use on a lap because the main fan is on the right side of the notebook, and a knee can easily block it. I recommend getting some sort of pad if this is to see lap use. The most eye-catching aspect of this notebook is the lid. Made out of aluminum, it is all-black and has the WidowPC signature black widow spider logo right in the center. The Core 2 Duo T7600's performance is nothing short of mind blowing. It is the fastest mobile processor on the market, and it looks as if it will stay in that position for some time. The installed hard drive is a Hitachi 100GB 7,200RPM unit. It operates at a low temperature, although it is a bit noisy as Hitachi hard drives traditionally are. A soft clicking noise is audible when the drive is accessed. Loading times for games and other applications were very fast. 2GB of RAM is a must-have for gamers and power users. The latest games will require more than 1GB of RAM to run smoothly at the highest settings. I did not run out of RAM during any scenario. 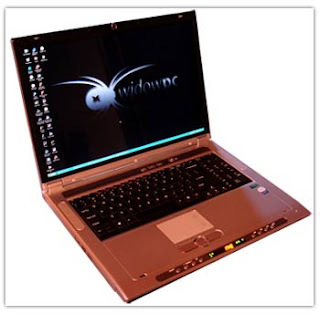 The WidowPC Sting 517D has a multitude of ports as a desktop replacement should have, including an ever rare DVI-D port for connections to external monitors and HDTVs, four USB 2.0 ports, and a legacy Serial port. The port placement is detailed in the following photos. All descriptions are left to right.The Pioneer DVD-RW DVR-K16 optical drive installed in our 517D reads and writes CDs and DVDs, along with dual-layer DVDs. The drive was reasonably quiet for all tasks, and I did not have any problems burning different types of media. Looks like the color pink is here to stay in the digital world. 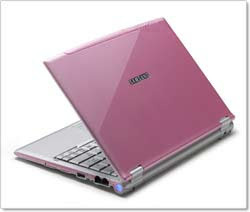 While all you macho men out there may not touch a pink laptop from miles, us girls don’t mind some pink! The UK store PC World has released an exclusive Samsung Q40 Pink Laptop, which will surely get noticed in the dull black and white world of notebooks. Weighing just 1.15kg and about 1 inch thick, the Q40 may just be a girl’s new best friend!Not just a pretty package, the Q40 is powered by an Intel 1.2GHz Core Solo processor and has specs like 512MB RAM, 60GB hard disk drive, 12.1-inch widescreen SuperClear display, and an external DVD re-writer. There is Wi-Fi connectivity and it uses Microsoft’s Windows XP professional as its operating system. It is available now and you can but it from the PC World website or select PC World stores.Computing doesn’t have to be grey or dull, says PC World. The UK superstore has pumped some colour into the world of technology with the exclusive Samsung Q40 Pink Laptop.The striking (and I’m not sure in a good way - Ed!) laptop brings together unique looks and the latest technology in an ultra-portable small, lightweight size.The Samsung Q40 Pink Laptop weighs only 1.15kg and is under an inch thick. It’s so slim and light that it’s an ideal choice for mobile working. The Q40 is easy to slip into a stylish bag to carry and use everywhere; on the train or plane, in the hotel or at home. The Samsung Q40 Laptop isn’t just pretty to look at, the glossy pink top hides a well specified, powerful laptop from one of the best names in the industry. 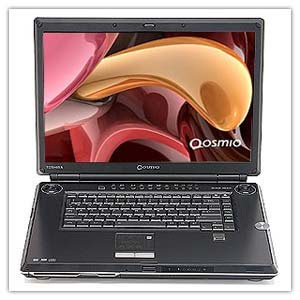 Features include a Intel 1.2GHz Core Solo processor, 512MB RAM, 60GB hard disk drive, 12.1-inch widescreen SuperClear display, and an external DVD re-writer. The laptop is wireless enabled and comes complete with Microsoft’s Windows XP professional and a range of security software.Colour conscious consumers can find a range of other colourful and useful accessories at PC World proving that computing certainly doesn’t have to be grey or dull. For instance, a Swordfish 14-inch pink laptop sleeve provides an added layer to protection for your laptops and is priced at £14.99. Made from neoprene memory foam the sleeves are available in a range of sizes and other bright colours including Red, Green, Turquoise, Purple and Black. This is a review for the new 14.1 widescreen ThinkPad Z61t with titanium cover. The Z61t is the update to the newer widescreen Z series of ThinkPads. It sports Intel's Core Duo processor. 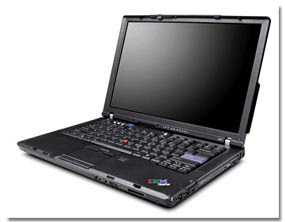 The Z series is the more multimedia oriented notebook in the ThinkPad line with a widescreen display, built-in web cam, media card reader, FireWire connector and more. 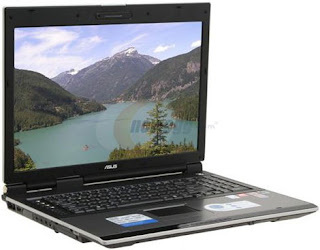 It combines the convenience and mobility of a notebook with the performance and functionality of a desktop. I used to have a Dell Inspiron 1100, bought 3 years ago just because I thought it was a good deal. It used a 2 GHz Celeron processor. I soon realized what a mistake it was. I used to curse it every other day. It was nothing but a brick and after 1 year of it would mysteriously shutdown after using it for more than 2 hours. It was producing enough heat to keep my house warm in winter. I ditched it after just 1 years of use. I was somehow managing with my office supplied Pentium III 900 MHz desktop.Then along came my daughter, who is 4 months old now. My wife started complaining that I was spending too much time at the home-office with my desktop, not spending enough time with my daughter. She couldn't find time to use the desktop as well, as the baby needed constant attention. So I decided I needed to get a laptop so that I could watch TV, watch my daughter and browse all at the same time. I also wanted something light so that I can easily carry it around the house with one hand. Another requirement was to have all the data to be in one secure place. I have an external USB hard disk /printer/ DVD burner, LCD monitor etc. Also I make it a point to backup my computer frequently with the external hard disk. I couldn't afford to connect all these accessories and disconnect them one by one when I needed to carry the laptop. So, a mature and easy docking solution was a must. My initial budget was around $1000. I started with Sony but didn't really like their pricing and lack of core duo in a 14-inch laptop. My friend had a Fujitsu notebook and I was impressed with its quality. But I couldn't configure a Fujitsu notebook for less than $2000 with a core duo processor. I spent some time looking at an HP dv2000t, but their docking solution is a joke. Plus, the build quality wasn't enough for me. Next was the Dell latitude D620. The build quality looked good. I'm not sure why I looked at Dell again given my first experience, but either way I decided against the D620 at the last moment because of lack of S-video and previous Dell nightmares. I then found NotebookReview.com and took my friend's suggestion to take a look at ThinkPads. I didn't know Lenovo had widescreen consumer oriented notebooks. After researching for 2-days I was hooked. I needed a ThinkPad at any cost. I raised my budget to $1,400 but still couldn't configure one with Bluetooth and a DVD writer for under $1,600 with tax. Then I figured out that IBM has EPP pricing which really makes sense. Dell has 12% EPP, but after researching I found Dell EPP was more expensive than non-EPP if you use certain Dell coupons. HP just gives you 10% for EPP. After raising my budget to $1,800, I found an IBM consultant at work and got access to EPP pricing. I had to ship the notebook to Delaware to save $110 tax. The total cost was, $1,599 ( laptop ) + $265 ( Advanced Dock) + $92 ( 3 year warranty) - $200 ( Discount) = $1,756. The web price will be around $2,600 with tax. I will talk about the additional $200 discount in the support section! The Z61t is built solidly but not rock solid like T series. It was a little thicker than I imagined. The titanium cover is a plus and looks decent unlike those shiny HP laptops. As soon as you open the screen, you will notice that this laptop feels solid. The inside is made from rugged and elegant high quality plastic.Two metal hinges of same size support the display. There is no wobbling when opening and closing the lid. You will need both the hands to open the screen. Also, if you try to open it with just one hand, you don't see the screen bend like other laptops. The look and feel of the area around the screen might even make you think it's made of metal not plastic. The only thing that looks plastic is the shiny EVDO antenna cover which is attached to the screen.To get an idea of the relative thickness of the Z61t, I placed 2 miniDV tapes next to the laptop. The laptop is around 1 inch thick.